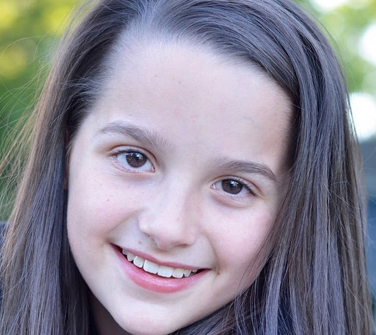 Annie LeBlanc was born on December 5th, 2004. She is a YouTube star with the family vlog channel Bratayley. She is also popular on musical.ly under the name presshandstands7, enjoying over 6 million followers. Her first foray into YouTube was a channel by herself called Acroanna which was dedicated to gymnastics. At one point she was also part of the collaborative channel Gymscool. Annie was born in Augusta, Georgia where her father was stationed at the time. Annie has been training in gymnastics since she was three years old and is homeschooled so that she can concentrate on her training and competitions. She is currently competing at level 8 and training at level 9 in artistic gymnastics. Annie’s goal is to do NCAA gymnastics. She is not looking to compete in the Olympics although she is good friends with Olympic silver medalist Shawn Johnson. Her favorite colors are coral and mint green. Her favorite gymnastic move is handstands so she does a handstand video in whatever city she travels to. Annie’s parents are Billy and Katie. She has a younger sister, Hayley. Her older brother, Caleb, passed away on October 1st, 2015 from hypertrophic cardiomyopathy, a rare heart condition. The family loves pets, and even after losing two dogs and a cat between June 2013 and April 2014, they still have three dogs – Gigi, Winnie, and Piper. Annie also loves horses but doesn’t own any. Annie’s best friend is Katie Donnelly. They are so close that she thinks of her like a sister.